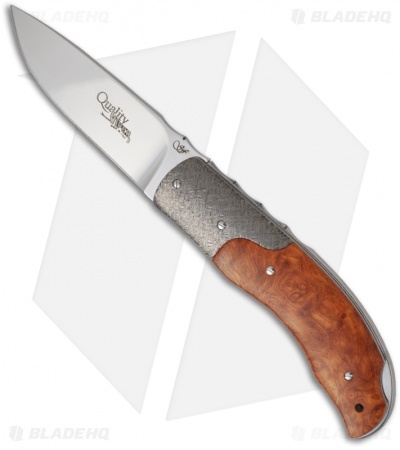 This Quality folding knife features hammered titanium bolsters and Amboina burl wood scales over an evolution lock back frame. The N690Co stainless steel blade is polished, as is the back spacer. 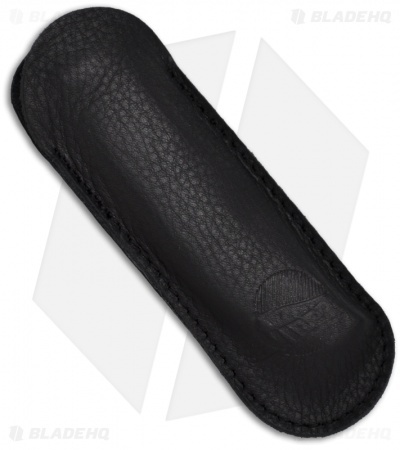 This Silvester designed pocket knife includes a leather pouch.